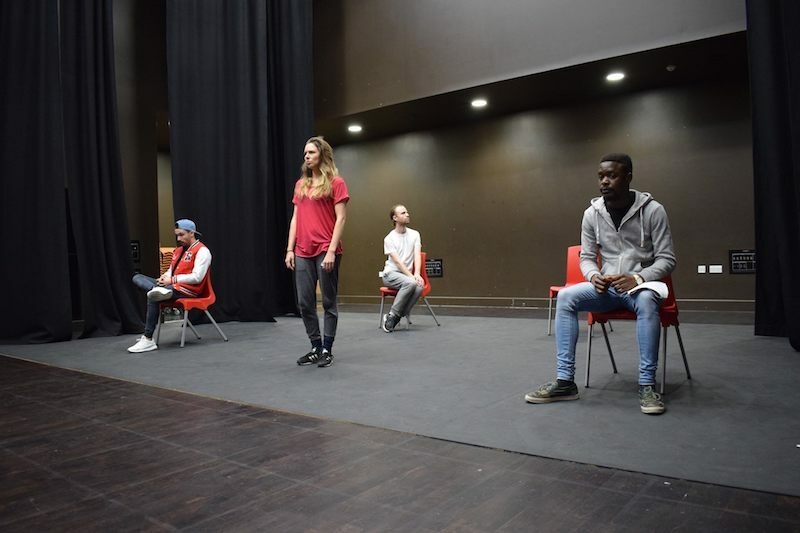 Created by Alexis Gregory out of interviews conducted with Albert Kennedy Trust service users, Safe is a brand new theatre piece which combines young people’s verbatim testimonies with live music and poetry. We spoke to Safe actress Fizz Waller to find out more. ONG: Hello Fizz, how did you get involved with Safe? FIZZ WALLER: There was an article on Twitter about how the Norwich Theatre Royal were launching the first Creative Matters season looking at gender and sexual identity, and producing a play by Alexis Gregory. As a queer actor, it was the fact that Safe was LGBTQ+ focused which really caught my eye. With it being an anniversary year in terms of LGBTQ+ rights, I really wanted to find a way to be a part of that. Safe perfectly fitted the bill, so I auditioned and got the role! Had you been involved with the Albert Kennedy Trust before? Never, but I had heard of them and the work that they do and it’s been brilliant learning more about it through the rehearsal process. The statistics linking the LGBTQ+ community to homelessness are gobsmacking with 25% of young homeless people identifying as LGBTQ+ and so it really does feel important to be able to shine a light on it. You play a character called Alicia. How did it feel to portray her words? Alicia has had an incredible journey which she reveals to us through strength and resolution. Alexis, the writer and director of Safe, made the decision not to expose the cast to any of the original recordings of the young people who were interviewed for the play, nor the full transcripts. This allowed us to create characters based upon the truth of the words. It adds an element of theatricality to the piece. Of course there is a massive responsibility to tell these stories, and authenticity is key, but it’s also about offering these stories to the audience as a shared experience. What do you think the verbatim technique brings to plays like Safe? Verbatim theatre creates performances out of the precise words spoken by people interviewed about a particular topic, in this case LGBT youth homelessness. When you know the words you are hearing come directly from the person who lived this story, it brings a new challenge to both performer and audience member. These words reflect precisely how the stories were recounted and so asks questions around choice of words, expressions, how people talk about themselves and others. The script is always going to go through layers of interpretation from the moment it is written down; from the writer, the actors and finally the audience. How are you feeling about your upcoming shows? Very excited and humbled! It’s been a great process with a fantastic creative team, and I’m looking forward to sharing that with an audience. I also feel telling Alicia’s story is a real honour. It’s going to be great to share her words and her story. Safe is part of Norwich Theatre Royal’s Creative Matters season and plays on September the 28th and 29th. The play also contains spoken word and live music. For details and booking information, click here.